Feit Consulting conducted a random survey of 238 associates. 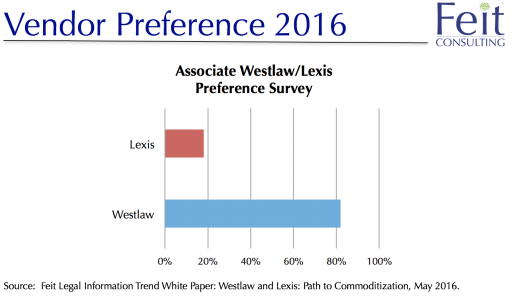 This year, 81% of surveyed associates who indicated a preference prefer Westlaw, compared to 19% for Lexis. Year-End Vendor Gifts Too Good to be True? Year-end holidays are full of fun, gifts, giving and cheer! But beware of those special tidings from your legal information vendors that seem too good to be true. Vendors may offer year-end gifts that on the surface seem quite generous. The resulting variety of offers can be staggering but can also be tricks. Your firm may be offered price breaks on new contracts, extensions on current deals, trial periods of new products, and the list goes on and on. There may be something hidden in these special tidings. If a vendor has proposed to extend your contract at the same price or slightly lower price, it is very possible your firm is already paying too much. Be proactive this December! Get the gift you truly want. If you have a wishlist, tell your vendor now; you just might get a deal you actually want. Don’t play “Secret Santa” with your vendors; take a moment now to anticipate the year-end push, and alert the rest of the firm to be wary of reps bearing gifts. Many factors have contributed to the sole-provider phenomenon. The leading factor driving this trend is the deterioration of recovery rates, now at 38%*. With half of large law firms successfully retaining only one of these vendors, there is validity that the sole-provider option is viable. Firms that have eliminated a vendor are achieving tremendous new efficiencies without compromising work product. 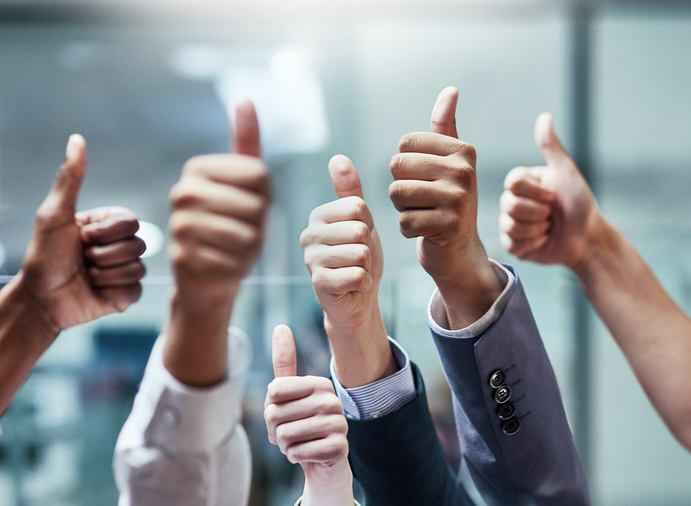 Our view going into the writing and development of The Sole Provider Playbook was that the outcome of the business case would vary from firm to firm. We thought at the time that the ability to overcome hurdles would sometimes be too expensive, overwhelming, and difficult to make this option worthwhile. We changed our minds, and we’re convinced. After months of scrubbing the market to identify any and all possible hurdles and concerns, we are confident that the business case for a sole-provider option is clear and valid for virtually all large law firms. While hurdles and concerns are numerous, the workarounds, hassles and costs are inconsequential in comparison to the savings opportunity.